Just before we left for Colorado, Jacob finished up two fiberglass builds that have just hit the shop! Here are a few photos and a little information on both of them. C. Barclay Progressive taper, Fiberglass blank, wrapped by Jacob Rash, of Between Two Banks. Burled maple reel seat with blued nickel silver cap and ring. McFarland black fiberglass blank, wrapped by Jacob Rash, of Between Two Banks. 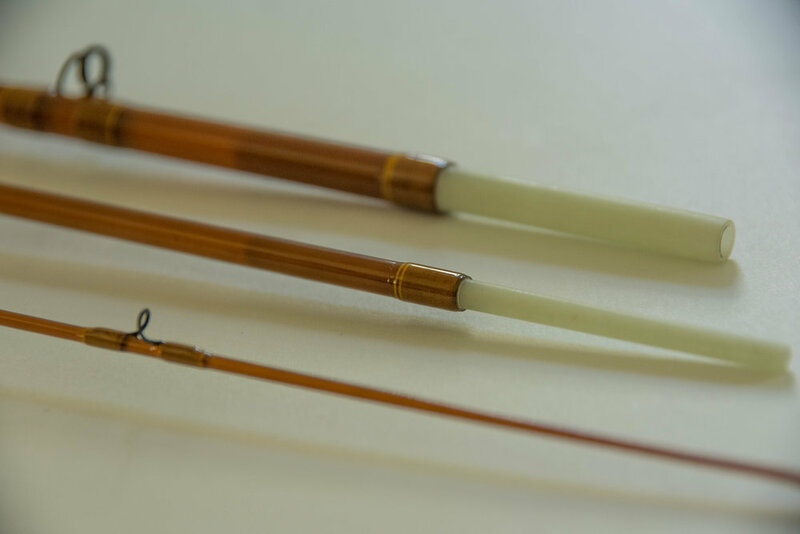 *Both come with a vintage style aluminum rod tube with finely threaded brass end cap and custom rod bag, by Jillian Schuller.